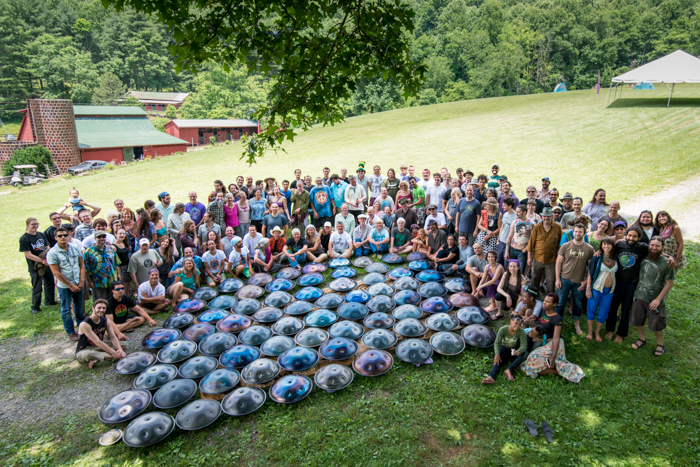 Handpangea was the first Handpan gathering in the US and was sponsored by Rusty James and Todd Garlow. For 3 years 50-70 friends gathered at Laughing Waters R etreat Center in Gerton, NC. 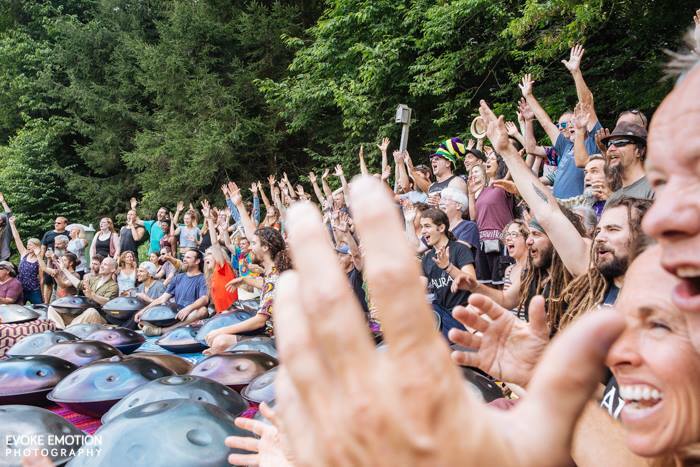 After the 3rd gathering, it became clear that the Handpan community had a need for a gathering with a larger capacity, as well as the smaller gatherings like Handpangea. Imani White, who is the lead organizer and facilitates the over arching aspects of HOUSA, came to that first Handpangea gathering. Over the years, she was dubbed as MamaMojo, by Jim Dusin of Pantheon Steel (RIP). The idea for a larger gathering was hatched, and inspired imani to step up, bringing her skills and leadership to co-produce the next gathering. 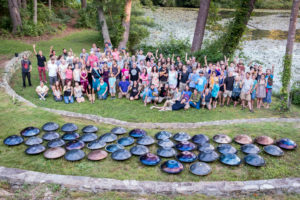 She returned to North Carolina, in October 2013, after a 20 year hiatus, to be present with the possibilities in the As heville Handpan Community. She now lives in Swannanoa, NC and is the curator of the Swannanoa Sound Chamber, which is the 18th Peace Chamber. After attending the 2nd Handpangea, Peter Levitov was inspired to move to Asheville, NC (actually into Rusty’s shed) to dedicate himself as a full time street performer in Asheville’s thriving busking community. 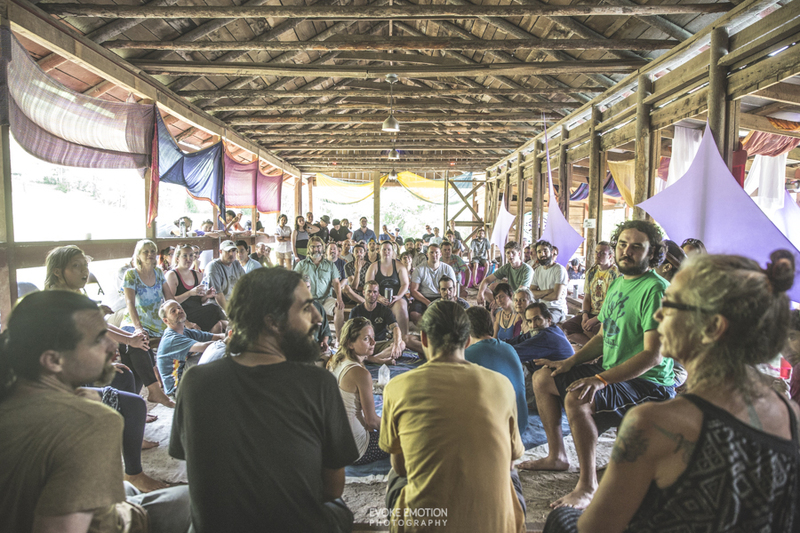 He participated in the organization and on site logistics of a couplegatherings, launched Handpan 360 as an immersion based workshop format, prior to HOUSA. 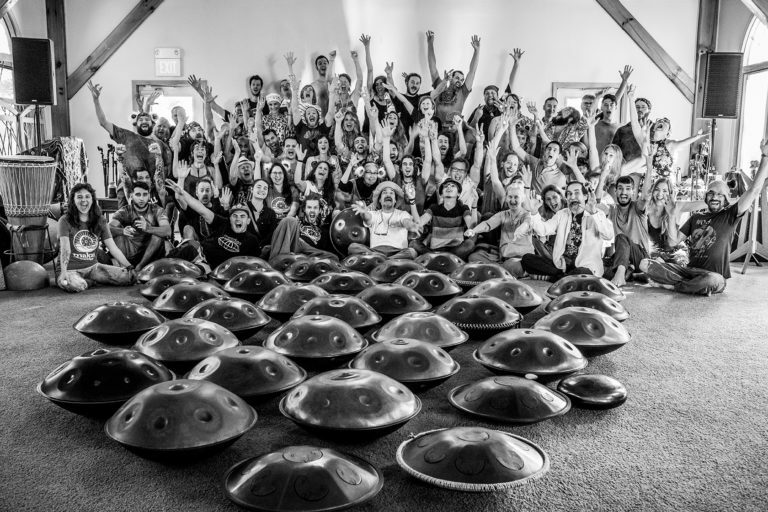 We continue with the immersion, and for the last several years, HOUSA gathers handpan players, makers, enthusiasts and teachers for a week of intensive study, and then to HangOut. Peter and his family now live in Nevada. Rusty James has taken a step back from the organization of HOUSA, and continues to travel out of these mountains to cultivate his livelihood in the world of crystals and gemstones. 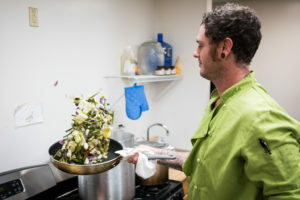 David Galleher and Jessie Galleher continue to support the handpan community by organizing and preparing our meals. David also represents as a player and as an instrument maker. 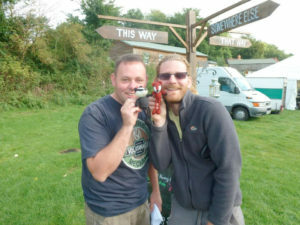 Jessie has been bringing his skills by filming and sharing video’s of the gatherings. 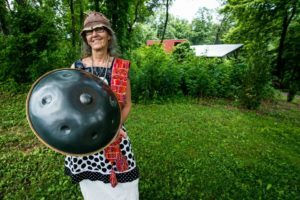 Judith Lerner has stepped up in the last couple of years to assist with the many logistics, in preparing for the gathering, on site and has organized the Handpan Lottery. Emily Sparkle, continues with the website and logistics support. During HangOut(UK) 2013, we had some interesting and exciting discussions with Rusty James and Imani White about a possible handpan event across the pond in the good ole USA. Those discussions have continued long after HangOut finished and we’re very pleased to announce an association between HangOut UK and what will be the first HangOut USA in 2014. As most of you will know HangOut was started here in the UK by us (Kelly Hutchinson and Rob Watkins) a little over 8 years ago now and the event has gained worldwide support, with visitors coming from literally all over the world. The name HangOut was an obvious play on words in the early days but in literal terms it means just that, to HangOut with your friends. This was why we decided to capture that name and use it for the UK based handpan event. With the ever growing community of Handpan owners/players out there it made perfect sense to expand the HangOut community and join up with our American friends and gift them the name HangOut USA and create an association with HangOut UK. Please join us in supporting them and welcoming this event to the annual handpan gathering calendar.